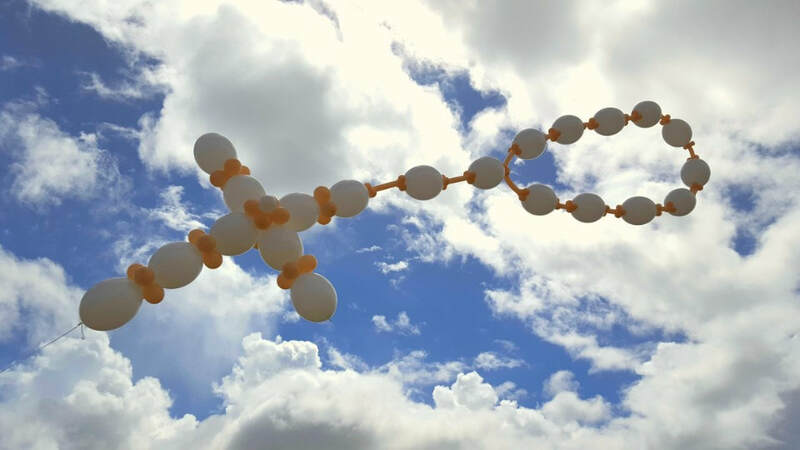 Rosary balloon started when our valued customer suggested this wonderful idea of commemorating her loved one's end-of-life journey. The rosary is prominent symbol of faith for all Catholics worldwide. 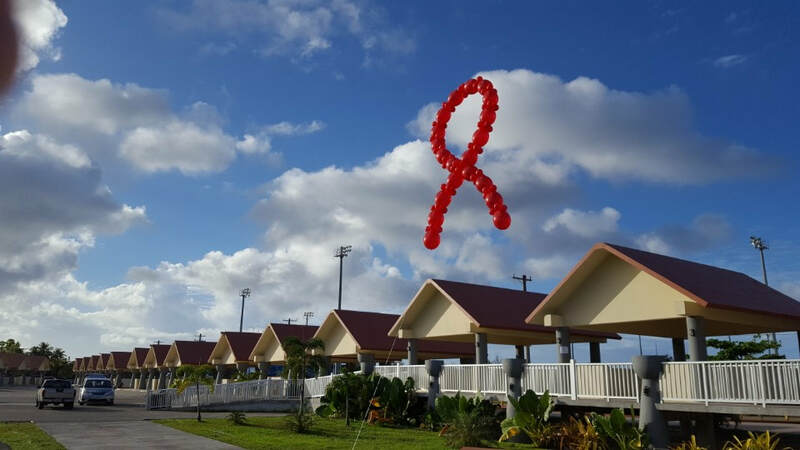 We offer various forms of helium balloon service on island. Balloons are 100% biodegradable latex balloons that have no harm to environment. 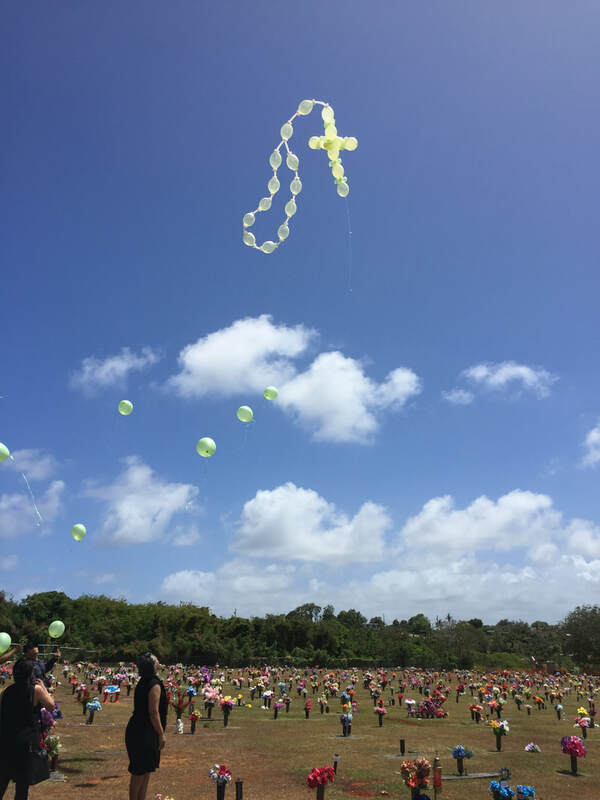 The Rosary balloon order is received by "first come, first serve" basis. When the day is fully booked for delivery, only pick-up is available. Delivery charge is additional. Please refer to FAQ page for pricing. To reserve the date and receive the order confirmation, a minimum of 50% non-refundable deposit is required. The amount should be paid in full no later than the day before the delivery / pick-up date. For more details on balloon designs and colors, please visit our store or call us at 637-2220. ​** Full Rosary balloon is also available. Please feel free to share your ideas, we'll create one you have imagined. Send your sincere condolences through flower arrangements with custom made ribbons. We deliver to where you are. Call us to reserve your date today. Please refer to FAQ for delivery rates.